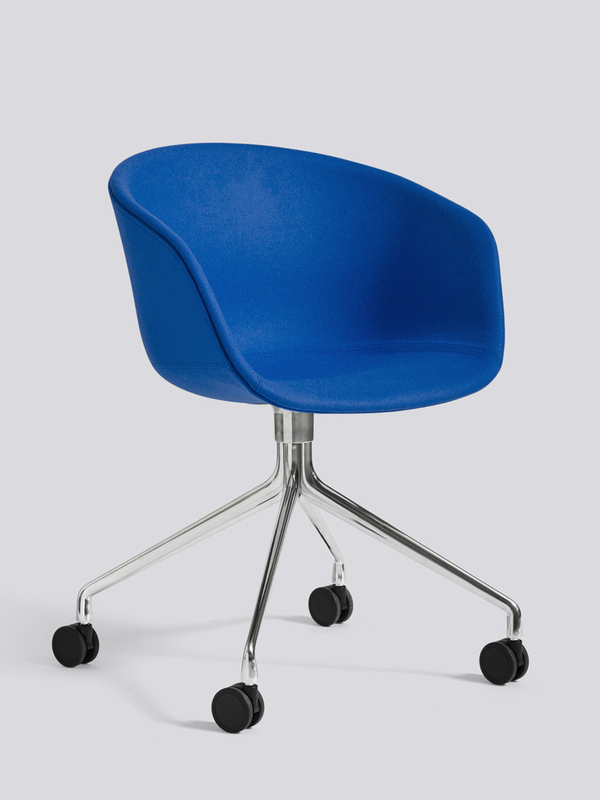 The solid rounded shell and unified silhouette of the About A Chair AAC 25 adds executive weight and brings a warm, welcoming expression to the otherwise functional and technical genre of office chairs. The stylish, functional design combined with the elegant swivel four-star castor base makes it perfect for formal or official settings and work-at-home offices. The polypropylene shell is available in a large number of colour and upholstery options and the base comes in various finishes.